The New Moon at 26+ degrees of Pisces was in conjunction with the first centaur planet 2060 Chiron, discovered in 1977 orbiting the Sun between Saturn and Uranus, and a trans-Neptunian binary object 385446 Manwë, discovered in 2003. In Pisces there is creativity and mysticism. Chiron is the great healing power, and Manwë adds its special quality to the blend. 2060 Chiron — also known as 95P/Chiron – has many interesting astronomical features. It is one of the few objects classified as both a minor planet and a comet. In 1988 Chiron suddenly brightened, which is behavior typical of comets, and a tail was detected in 1993. With its diameter of 206 km, Chiron possibly reaches the dwarf planet status. It is also likely that Chiron has two rings. In Greek mythology Chiron was the wisest and justest of all the centaurs. He was not a troublemaker like the rest of them. He was a teacher and tutor of many heroes. 385446 Manwë was named in 2014 after a fictional deity, the wise king of the Valar in J. R. R. Tolkien’s writings. The satellite was named Thorondor after the “mightiest of all birds that have ever been”. Manwë is a Jupiter-like deity, who loved poetry and music with words. He was the lord of air, wind and clouds. Eagles flew back and forth and brought to his knowledge everything that was going on in the world. He lived with Varda, the queen of the stars, on Mount Taniquetil. Manwë and Varda complemented each other. If Varda is beside Manwë, he “sees further than all other eyes, through mist, and through darkness, and over the leagues of the sea. And if Manwë is with her, Varda hears more clearly than all other ears the sound of voices that cry from east to west, from the hills and the valleys,” wrote Tolkien. This New Moon conjunct 385446 Manwë may be an extraordinary creative moment to work for your goals and take a leap forward. You may have an access to knowledge which has been hidden or out of your reach before. The resources are available. The square aspects from Mars, Vesta and 174567 Varda in Sagittarius are providing some extra energy and light to you. 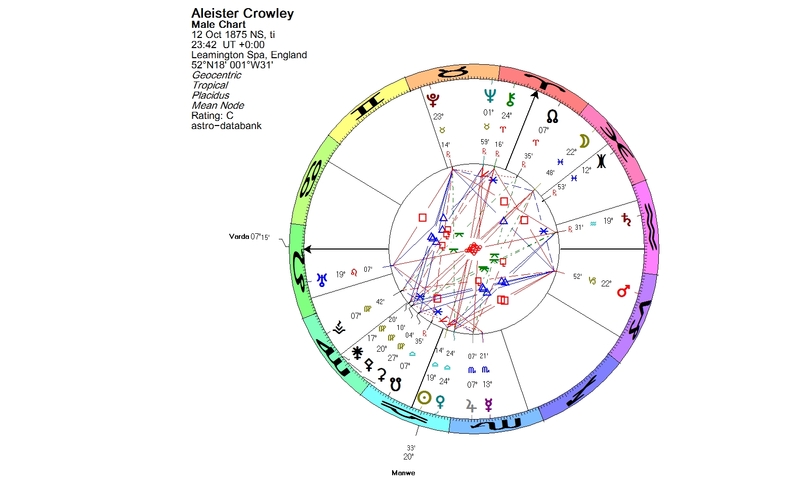 Aleister Crowley (1875 – 1947) was an influential English occultist, ceremonial magician, poet, painter, novelist, and mountaineer. He had a Sun-Manwë conjunction in Libra. Frank Zappa (1940 – 1993) was an American musical wizard, who is considered one of the most innovative and stylistically diverse rock musicians of his era. 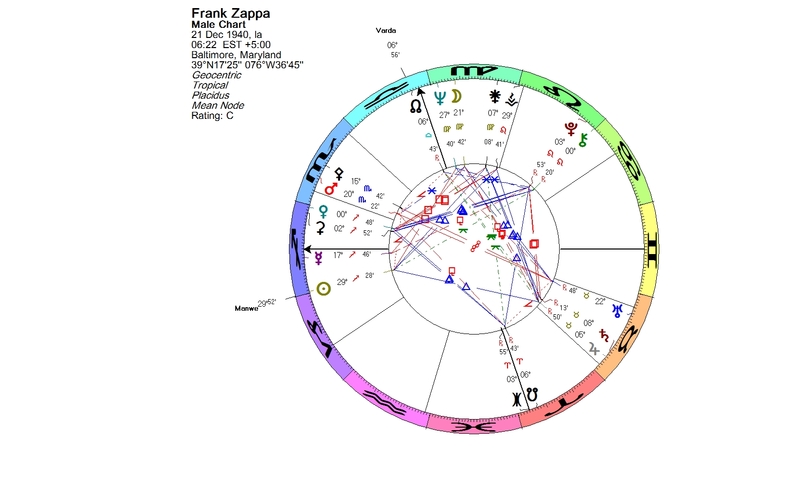 Zappa’s exact Sun-Manwë conjunction is in Sagittarius. Jeff Bezos (born 1964) is the founder and chief executive officer of Amazon. He is the wealthiest person in the world. 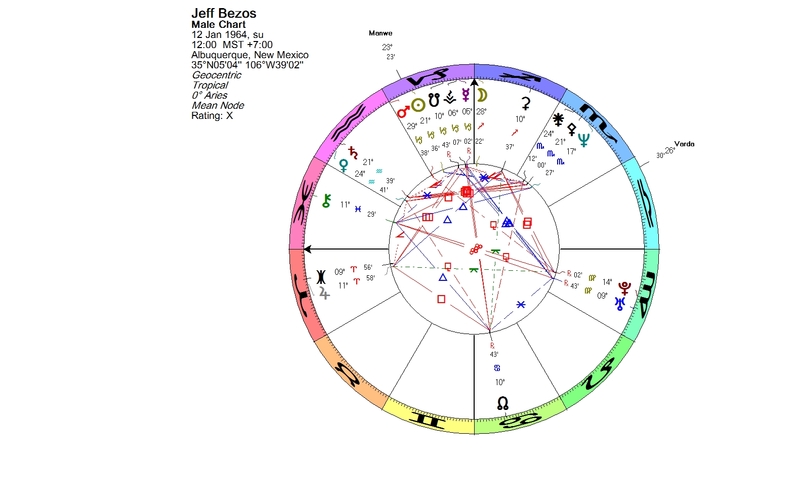 His Sun-Manwë conjunction is in Capricorn. There are three other trans-Neptunians together with the Sun and Manwë: 120347 Salacia, 47171 Lempo and 341520 Mors-Somnus. 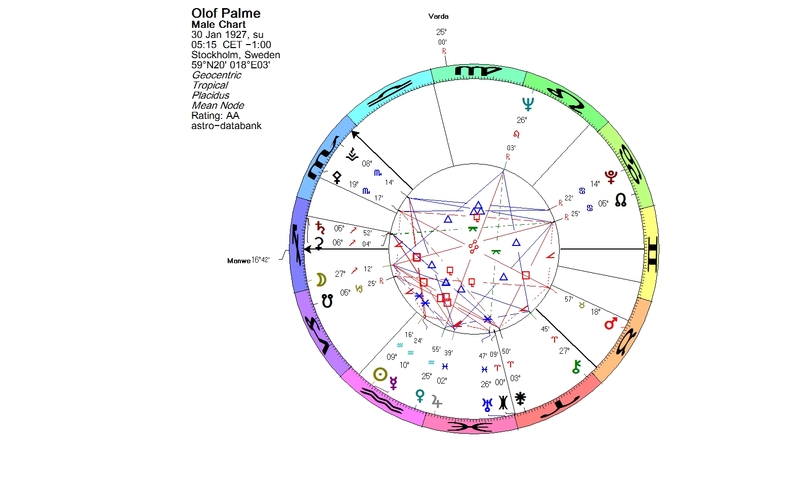 Olof Palme (1927 – 1986) was an Aquarian. Manwë is right at his Sagittarius ascendant. He was one of the greatest statesmen of the world. He has been described as an insightful politician, who had a skill to see things before others did. 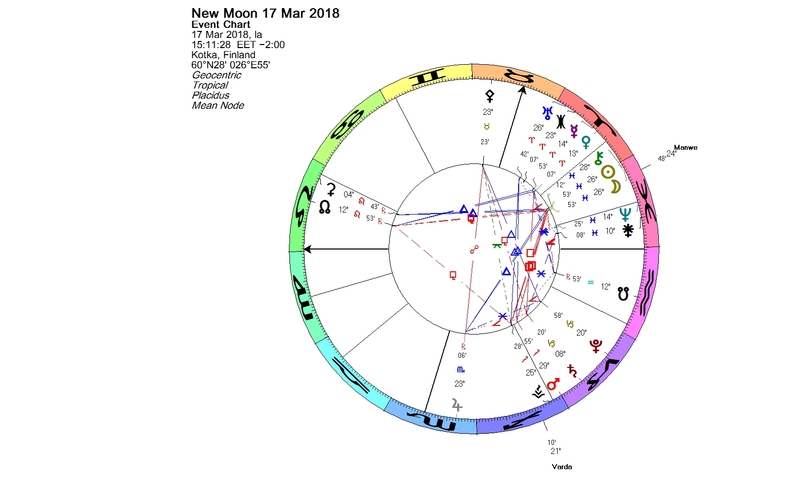 This entry was posted on Sunday, March 18th, 2018 at 3:25 pm	and is filed under New Moon. You can follow any responses to this entry through the RSS 2.0 feed. You can leave a response, or trackback from your own site.